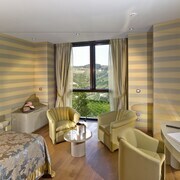 Situated in Santo Stefano Belbo, this hotel is 7.9 mi (12.7 km) from Francone - Cantina. Exquisite view from the breakfast room on a sunny day to the Alps and all over Barolo wine country. Rooms are well kept, although for my personal taste, the beds on the hard side. Where to find Borgomale hotels near an airport? Where can I find hotels in Borgomale that are near tourist attractions? 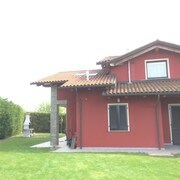 Seeking a handy place to base yourself while you are visiting Borgomale? 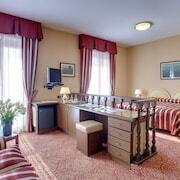 Borgomale offers about 13 hotels and apartments within easy driving distance of the heart of town. If you are after accommodation within a stroll from the Borgomale city center, Hotel Relais Montemarino and Relais Villa D'Amelia are ideal. 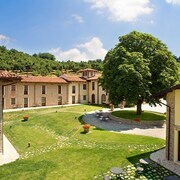 The Il Boscareto Resort & Spa is positioned 10 kilometres (6 miles) from downtown Borgomale. 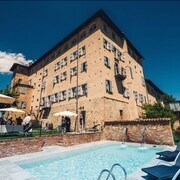 Another accommodation option is the Albergo La Corte Albertina, which is situated 19 kilometres (12 miles) away. Two other Expedia-registered hotels are the Albergo dell'Agenzia and the Hotel SantaMaria. 55 kilometres (33 miles) from Borgomale is Cuneo, where you can spend a few hours exploring Galimberti Square and Church of San Francesco. Should you wish to spend a few nights in Cuneo, check out the room rates at the Hotel Palazzo Lovera and Best Western Hotel Principe. 14 kilometres (9 miles) to the east of Borgomale, you'll also find Bubbio, which is home to the I Tre Poggi and Maggiora Resort. 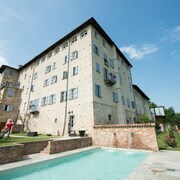 If you stay in Bubbio, you might like to visit the Isolabella della Croce and Colombo Cascina Pastori. Before you head home from Langhe Region, why not make sure you catch local game. Visit Juventus Stadium to the northwest of Borgomale. 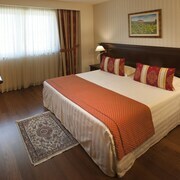 If you are keen on sleeping close by, make a reservation in the AllegroItalia Golden Palace or Cascina Di Corte. Cristoforo Colombo Airport is a logical airport for flying into and leaving Borgomale. It is 65 kilometres (39 miles) drive away. 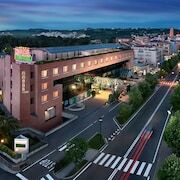 If you would like to stay nearby, try the MarinaPlace Resort & Spa or Tower Genova Airport Hotel & Conference Center. What are the most popular Borgomale hotels? Are there hotels in other cities near Borgomale? What other types of accommodations are available in Borgomale? Explore Borgomale with Expedia.ca’s Travel Guides to find the best flights, cars, holiday packages and more!